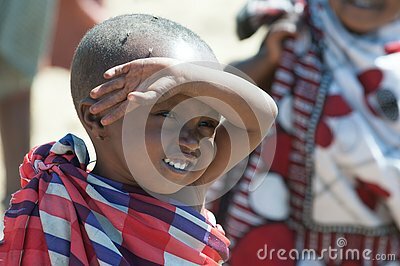 Boy from the Maasai Tribe. The toddler`s eyes are full of flies which oviposit the eggs into the eyes so that the child could go blind. And the direct sunlight is also bad for the eyes.